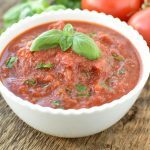 Make a delicious homemade marinara in minutes, that is sooo much better than anything you can buy at the store. This recipe is a must in our favorite lasagna recipe! 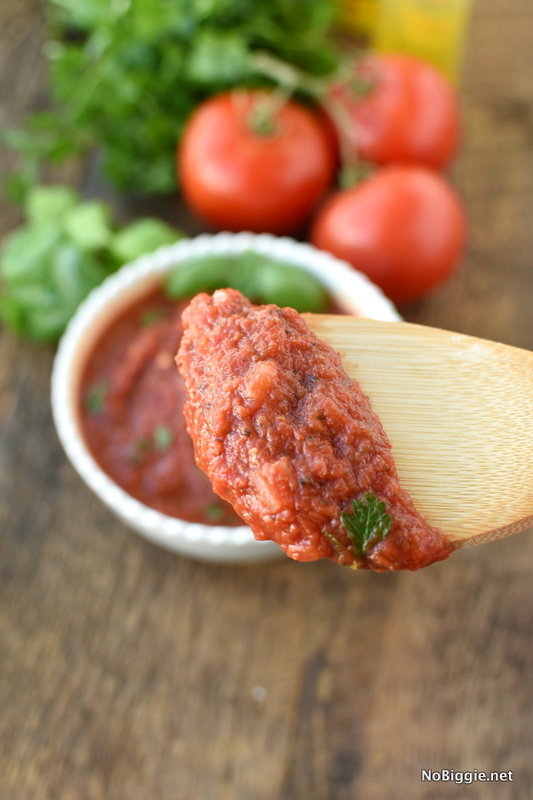 You can find great canned tomatoes like San Marzano or Cento in the store, but it’s the fresh ingredients you add to the crushed tomatoes that makes the BEST marinara! Here’s all the ingredients lined up and ready to go. This is my favorite way to cook, because then I know I have everything ready to go BEFORE I start! It’s KEY! 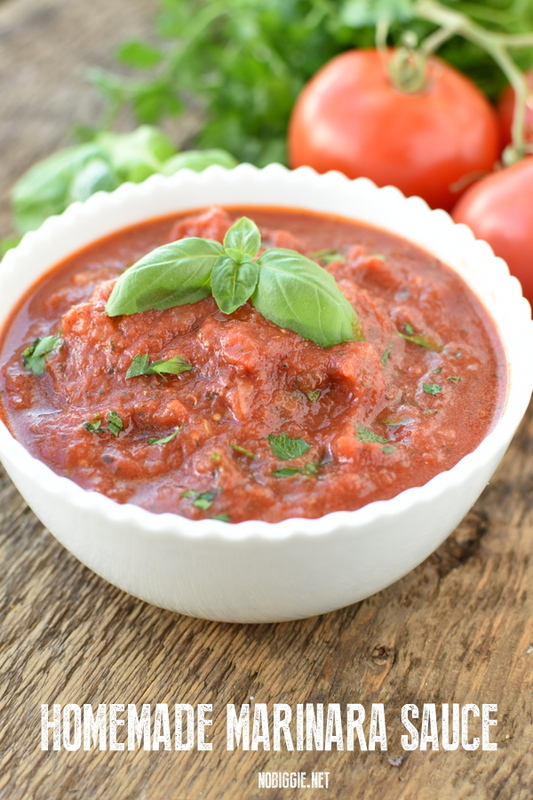 You just can't beat homemade marinara sauce. Make a big batch and freeze some for later! In a large sauté pan set to medium high heat add the oil and the diced onion. Cook the onion until translucent. Add in the minced garlic and cook for a short time until the garlic is fragrant. Now add in the rest of the ingredients and bring to a gentle simmer. Stir periodically as it simmers for 15-20 minutes. 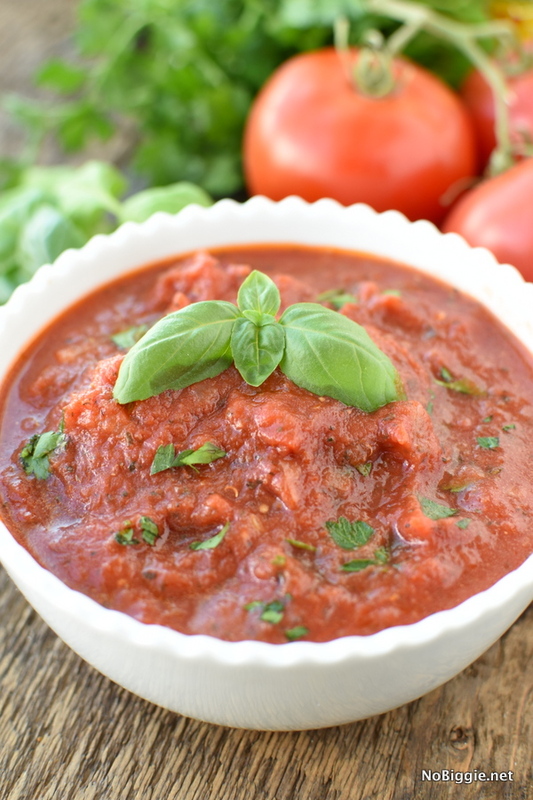 We love to make a big batch of this sauce and freeze a bunch for later. It makes Italian Night come together in a a jiffy! 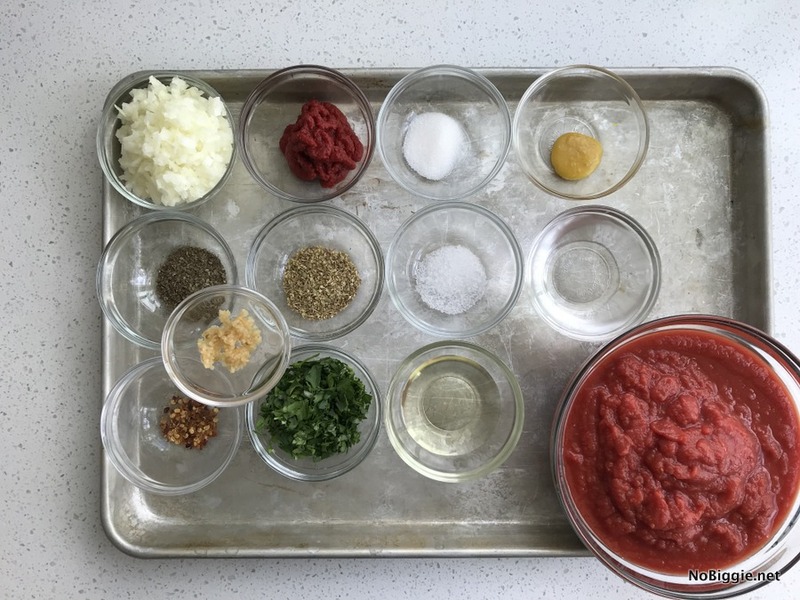 Do you make marinara, or do you end up grabbing a can or jar at the store, hoping this delicious recipe has you convinced to make it at home!